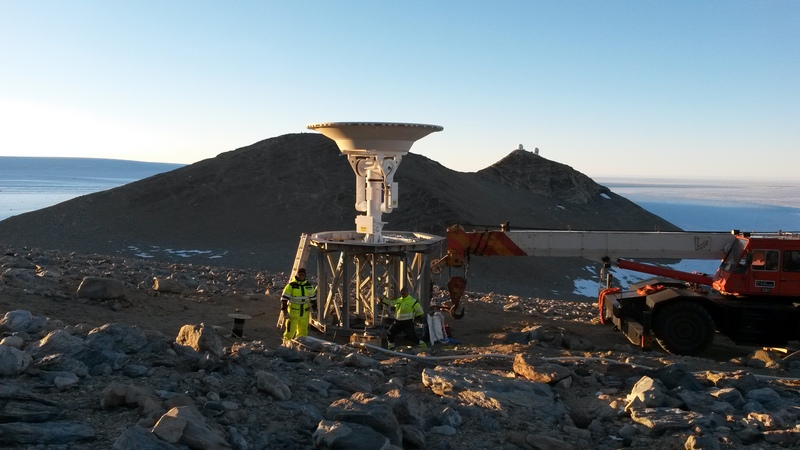 System Integrator Kongsberg Satellite Services (KSAT) installed a 3.7m X-S Band TT&C ground station antenna at Troll Station in Antarctica, one of many antennas providing near-real-time data for their global ground station network. KSAT is a commercial company which provides ground station and earth observation services for polar orbiting satellites. TrollSat is located at 720 S 20 E.